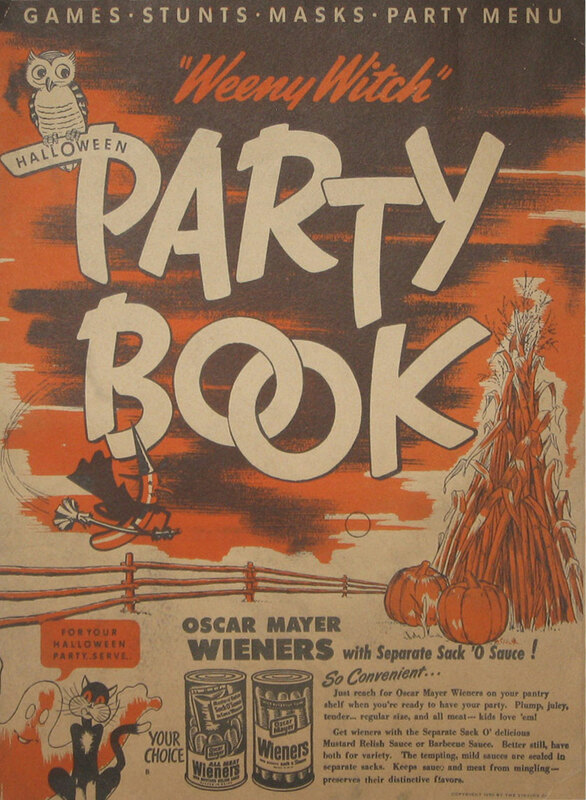 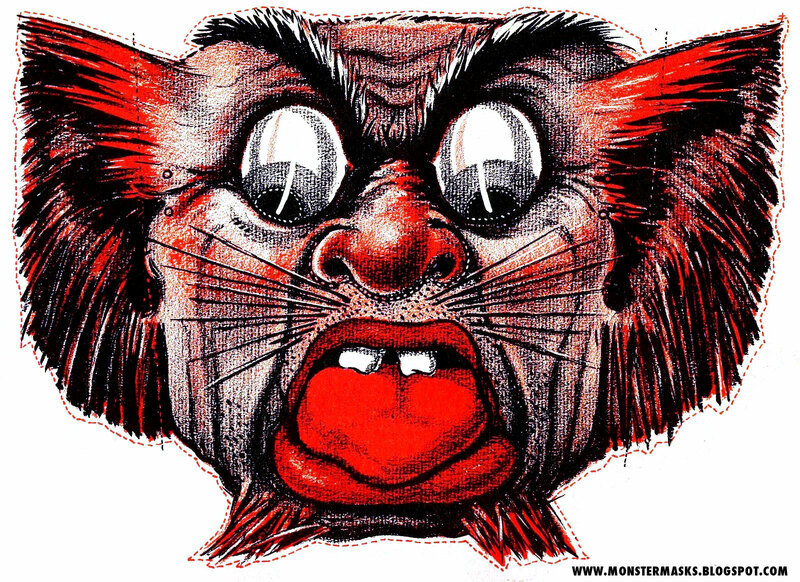 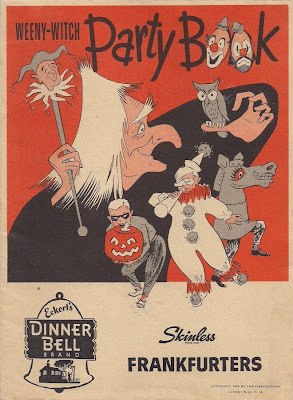 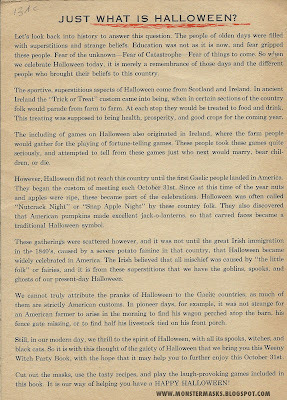 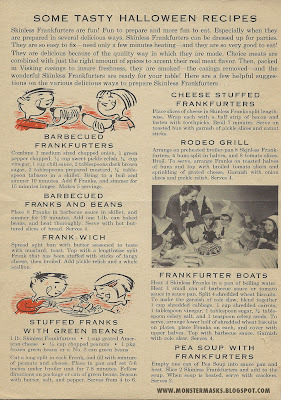 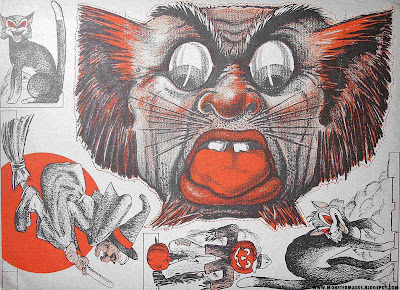 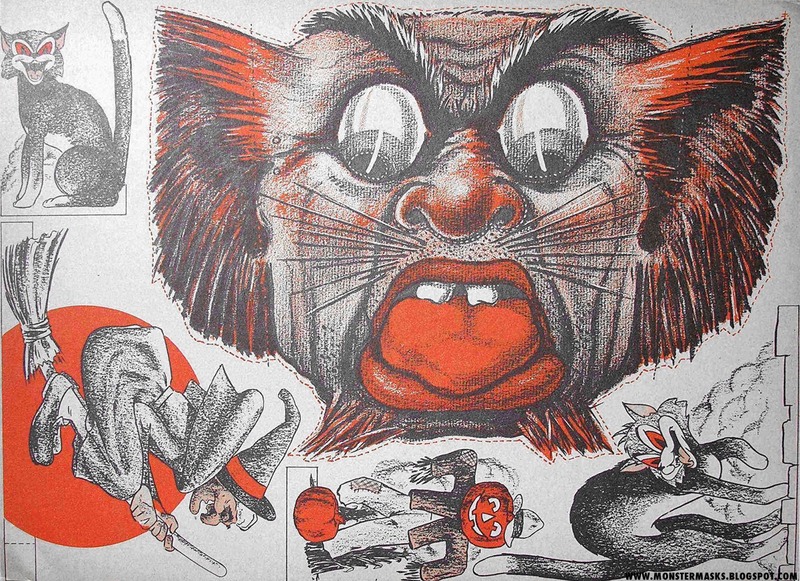 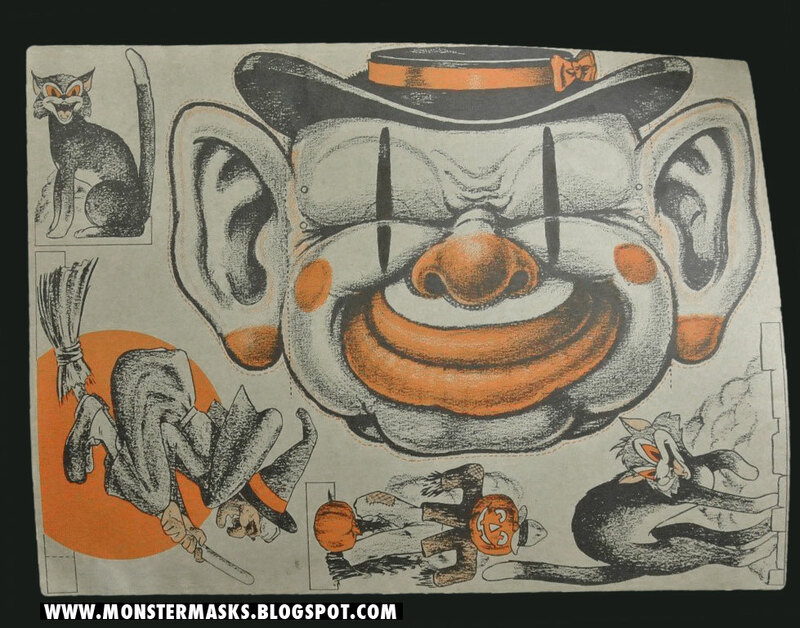 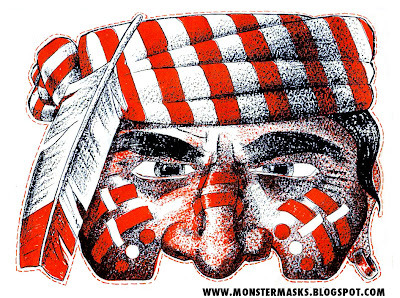 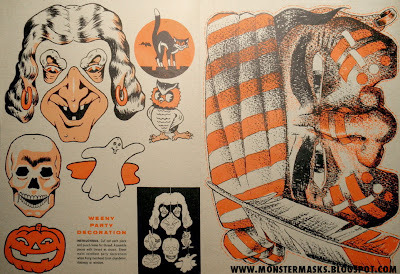 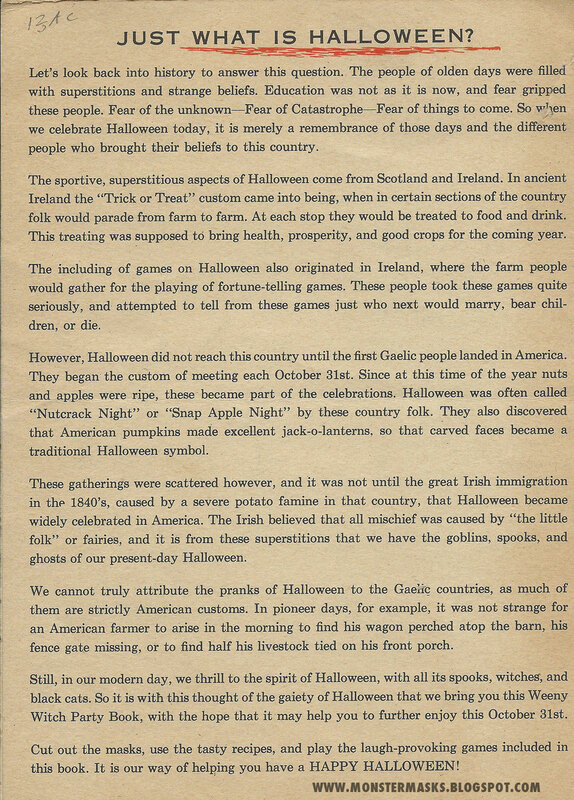 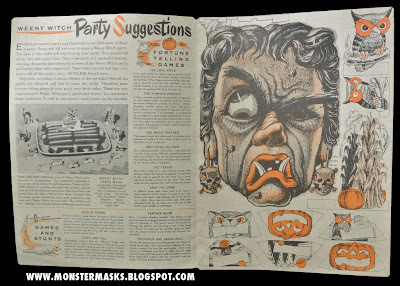 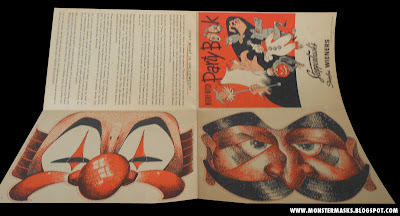 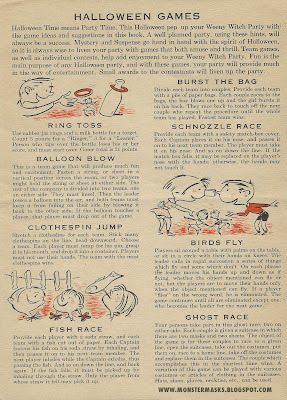 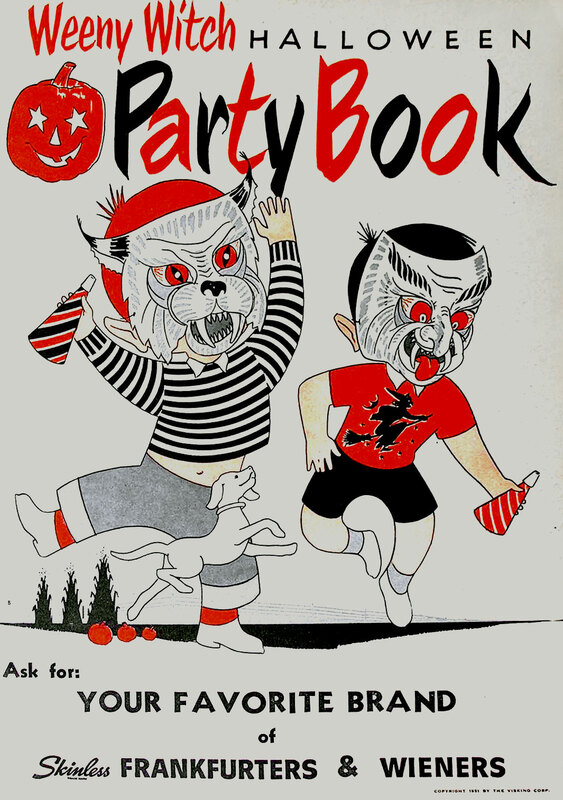 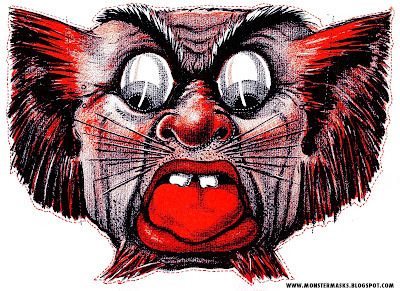 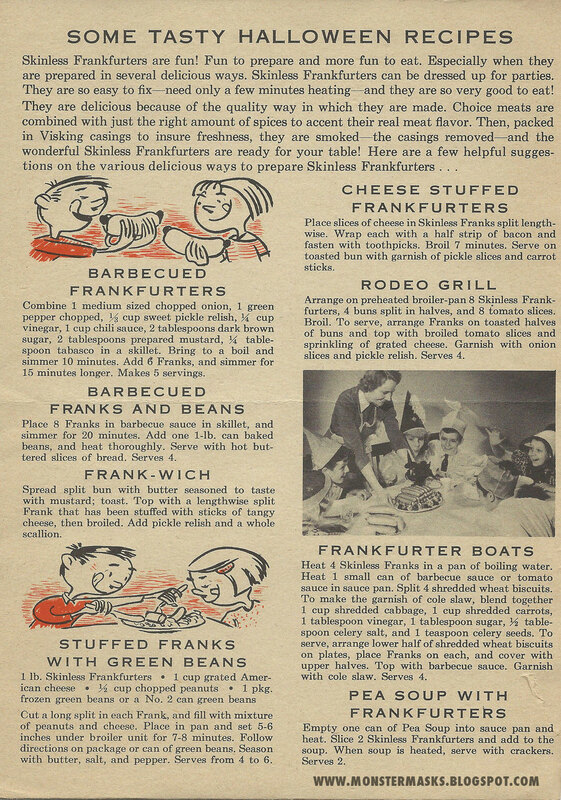 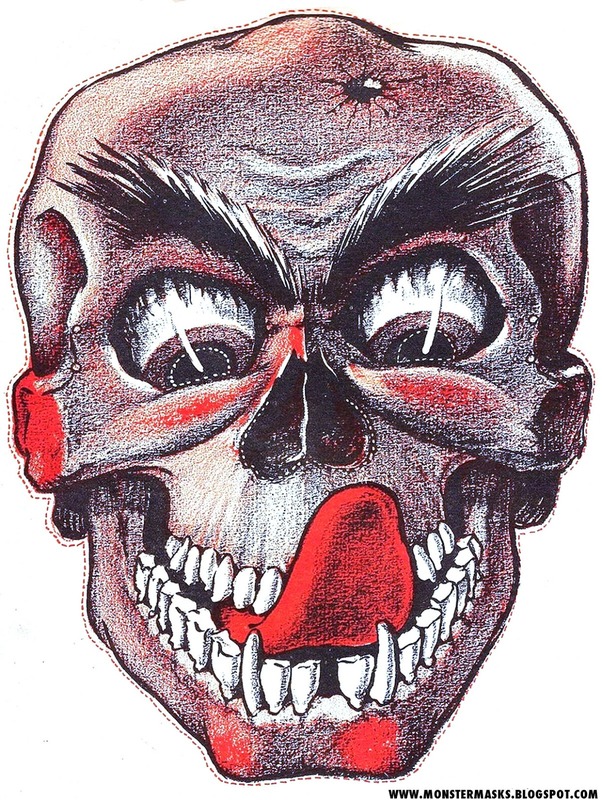 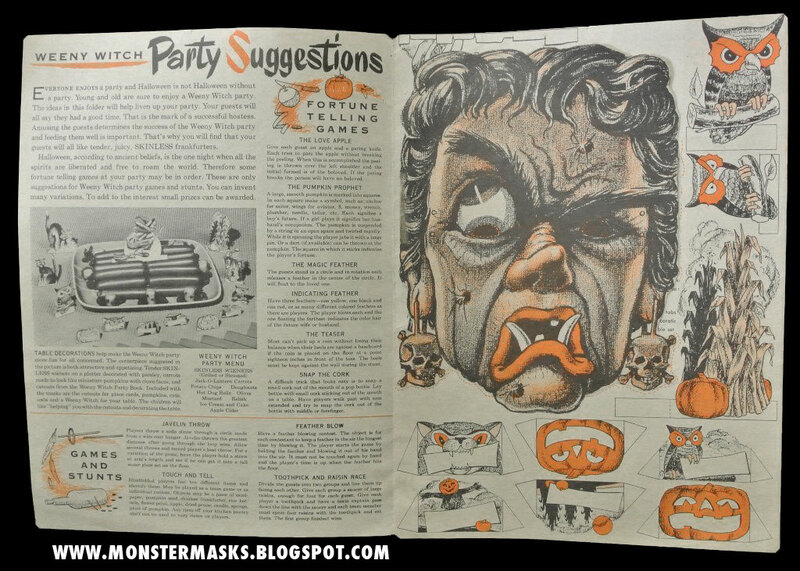 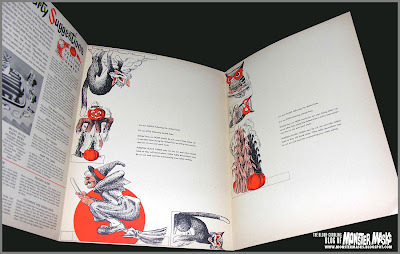 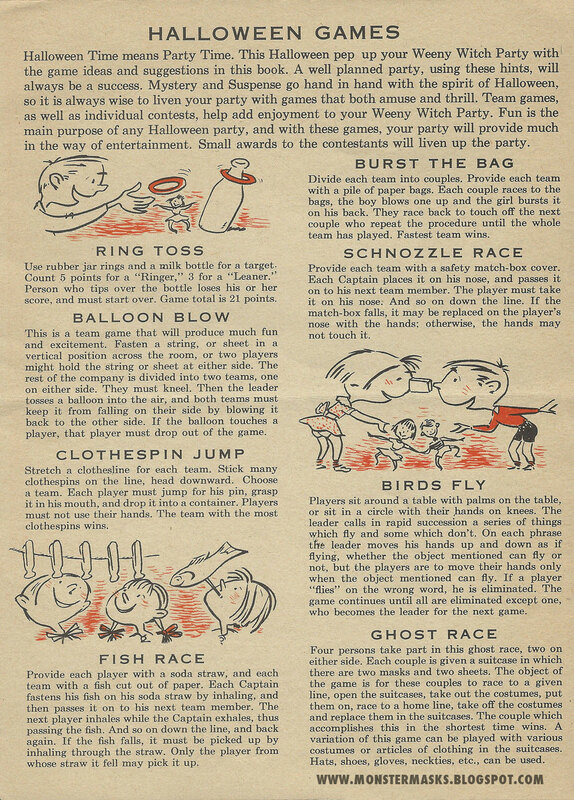 The Weeny Witch Cut-Out masks were published as part of the promotional Party Books for vendors of skinless frankfurters. From what I have found, these booklets were published between 1952-54. 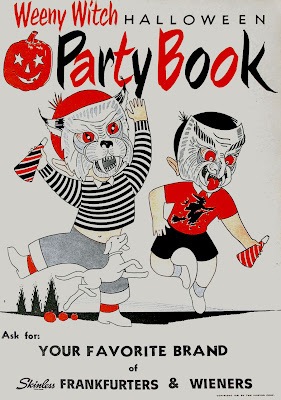 I absolutely adore the old illustrations that line these two, three, and four-page fold out books. 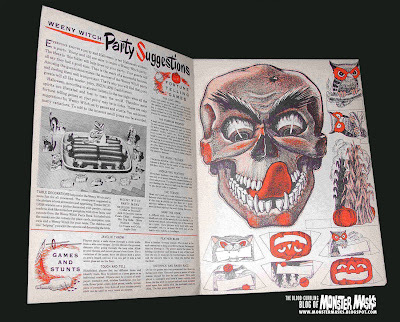 Note: If you’re looking for more Weeny Witch materials, check out this post from October 2010 on the Magic Carpet Burn blog.